Are you planning on firing up the grill and taking advantage of these beautiful Spring weekends? Well before you break out the steaks, you might want to clean up your barbecue first. Unless you spend your winters in Florida, your grill has spent the past few months gathering grime and dirt. For scraping off all that grime, we recommend purchasing a grilling stone. Wire scrapers and brushes are not as effective as grilling stones, and they are worth purchasing. After scrubbing off most of the major grease, many grills can be cleaned similar to self cleaning ovens. Just run the grill for half an hour at a high temperature. This burns up most of the stuck on goop, and after the grill has cooled down, another scraping with the grill stone will leave your barbeque as good as new, or almost new. Get a good product, like Stainless Steel Magic, to clean the outside of your grill. 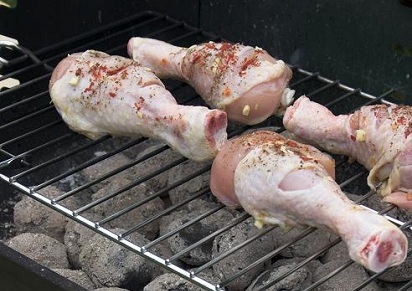 By the time you’re done your barbecue will be so shiny you won’t let anyone else touch it. Wonderful information. Thank you for posting this. I will check back to see updates.